Learn to Scuba Dive in the Philippines Today! If you’ve always wanted to take scuba diving lessons, experience unparalleled adventure and see the world beneath the waves, this is where it starts. 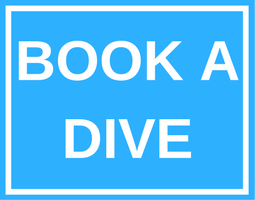 Get your scuba diving certification, scuba dive in the Philippines take the PADI Open Water Diver course – the world’s most popular and widely recognized scuba course. Millions of people have learned to scuba dive and gone on to discover the wonders of the aquatic world through this course. Enroll in Open Water Diver Online – PADI’s eLearning option – and you can start learning right away. PADI Open Water Diver Online gives you the background information you need to dive safely and allows you to study at your own pace through an interactive computer-based program. Check with the ARIZONA DIVE SHOP about the gear you’ll use during this course and get advice about everything you need from your PADI Instructor, and you too can learn to scuba dive in the Philippines today!